Homes What Can We Learn From Finland's Education System? What Can We Learn From Finland's Education System? If you think a good education consists of as much academic work as possible, lots of competition and plenty of tests, then a trip to Helsinki will offer a fresh perspective. Finland instituted a radically different approach to education in 1971, and has been gradually refining it since. The system emphasises co-operation rather than competition and focuses heavily on play—with no formal education until age seven and at least 15 minutes of play for every 45 minutes of formal education after that. Teachers have a huge amount of autonomy, including responsibility for assessing students, with almost no formal standardised tests. There is very little homework and children of all abilities are taught together, with a focus on special education, working intensively with children with learning or behavioural difficulties—30 percent of kids receive special help at some point. It seems to work. Finland consistently sits at or near the top in subjects like reading, maths and science in the Programme for International Student Assessment run by the Organisation for Economic Co-operation and Development, a standardised test taken by 15-year-olds in more than 70 countries that is widely used to steer education policies. The test also revealed that the differences between the best and the worst students are the smallest in the world. “We have always been willing to borrow good ideas that are worth borrowing and turn them, through close cooperation, into something our teachers can use for our own model,” says Jouni Kangasniemi, head of development at the Finnish Ministry of Education and Culture. 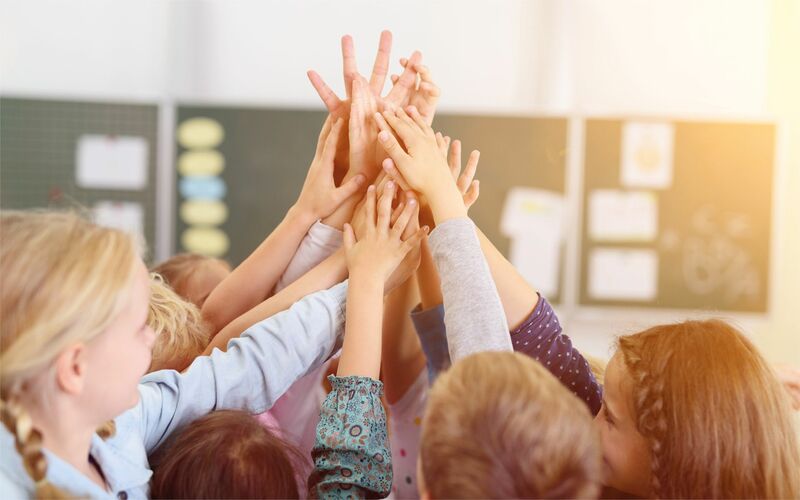 Before age seven, Finland provides children with free preschooling, where the emphasis is on their emotional development and growth as people, learning by interacting with others. “Finnish people say that play is children’s job,” says Sahlberg. “Finnish parents—me included—and much of the rest of society believes that children must have the right to a long and healthy childhood. We think that children learn what they need by playing, being with their siblings and friends, and being closely linked to their homes. Very few educators and parents are convinced that starting formal schooling early would pay off later in life, and research evidence does not support starting instruction-based schooling earlier. Perhaps the single biggest factor in the excellence of Finland’s schools derives from the trust it places in its teachers. There is no centralised inspectorate and no rankings of students, schools or teachers, rather they are encouraged to set their own curricula and tests, leading to a diversity of knowledge among students. Teachers are drawn from the top 10 per cent of graduates, all have master’s degrees in education, funded by the state, and are generously paid. As a result, the profession is massively oversubscribed. “The greatest barrier in many countries is an assessment system that hinders students to learn and make them compete against each other,” says Kangasniemi. Adds Sahlberg: “You can’t really rely on teachers’ and schools’ judgement regarding teaching children unless you can truly trust them. And you can’t trust them enough unless teachers and school leaders are professionals with a capital ‘P’. Teachers must be prepared and treated like professionals, akin to doctors and lawyers, and they must be compensated like professionals. A fringe benefit is cost savings. All that generous state funding sounds expensive, but Finland still manages to educate its children more cheaply than other wealthy countries: 30 per cent less per child than in the US, for example. Trusting its teachers means it can employ very few administrators and bureaucrats, plus the lack of standardised tests saves more money. The latest frontier in Finland’s educational revolution is a move to phenomenon-based approach, in which students learn about particular subjects, events or phenomena from an interdisciplinary perspective. However, it will actually only form part of the curriculum, alongside more traditional subjects, and it really just represents a formalisation of something a lot of Finnish schools already do.